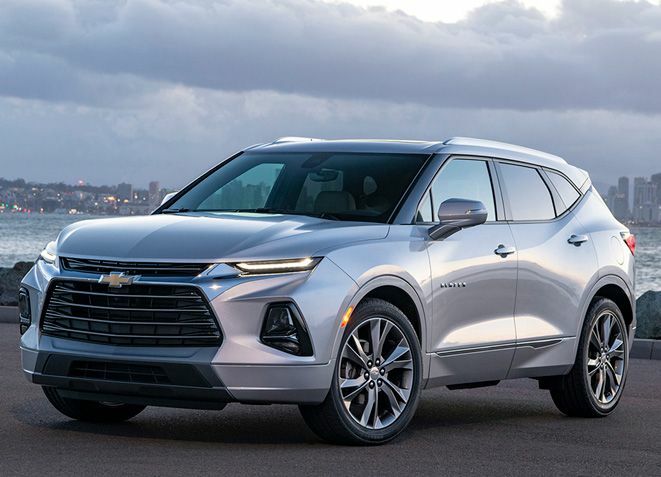 “Cue the howls of disbelief from the Blazer faithful.” Yes, Chevy has brushed off the nameplate of a beloved 1980s box on wheels and then slapped it on “yet another svelte crossover.” But this midsize CUV has the mean looks of a Camaro and “just enough under the sheet metal” to back up the styling. The acceleration “won’t blow you away,” but the Blazer corners like a performance vehicle. The Blazer isn’t exactly a sports car, but the $40,600 RS model is particularly confident in turns, thanks to stiffer damping and a tighter steering ratio. The RS gets the 308-hp V-6 that will be the engine choice of most Blazer buyers, but the four-cylinder in the base model is plenty powerful for in-town driving. Though either Blazer is “more boulevard cruiser than backcountry off-roader,” it finally gives Chevy a vehicle to compete head-on with the Ford Edge, Jeep Grand Cherokee, and Nissan Murano.